Well, the evil bridge is well under construction, but that hasn't stopped the forces of good from continuing to fight it. 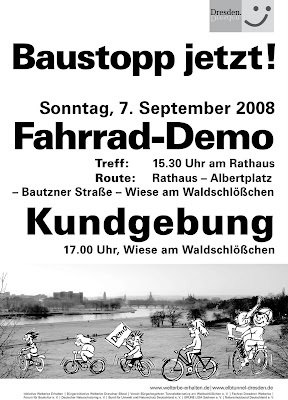 A bike-ride demonstration through the city next Sunday. From the town hall, through the old city, across the river, right by my flat, and then up to the construction site.